During his political career, Helmut Kohl used his own life story to promote a normalization of German nationalism and to overcome the stigma of the Nazi period. In the context of the cold war and the memory of the fascist past, he was able to exploit the combination of his religious, generational, regional, and educational (he has a PhD in History) experiences by connecting nationalist ideas to particular biographical narratives. 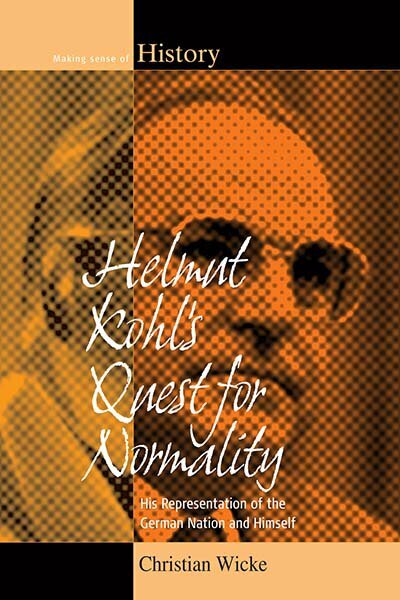 Kohl presented himself as the embodiment of “normality”: a de-radicalized German nationalism which was intended to eclipse any anti-Western and post-national peculiarities. This book takes a biographical approach to the study of nationalism by examining its manifestation in Helmut Kohl and the way he historicized Germany’s past. Christian Wicke is Assistant Professor in Political History at Utrecht University.